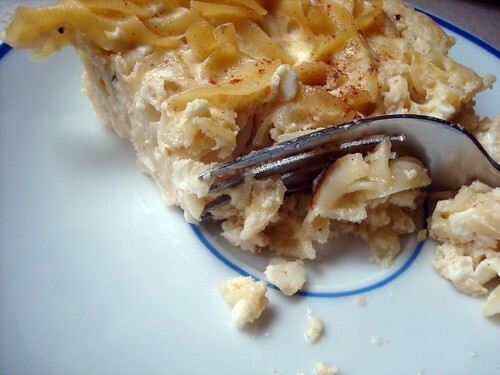 CakeSpy: Have you ever tried kugel? Buddy: Isn't that like, an excercise...for your female parts? 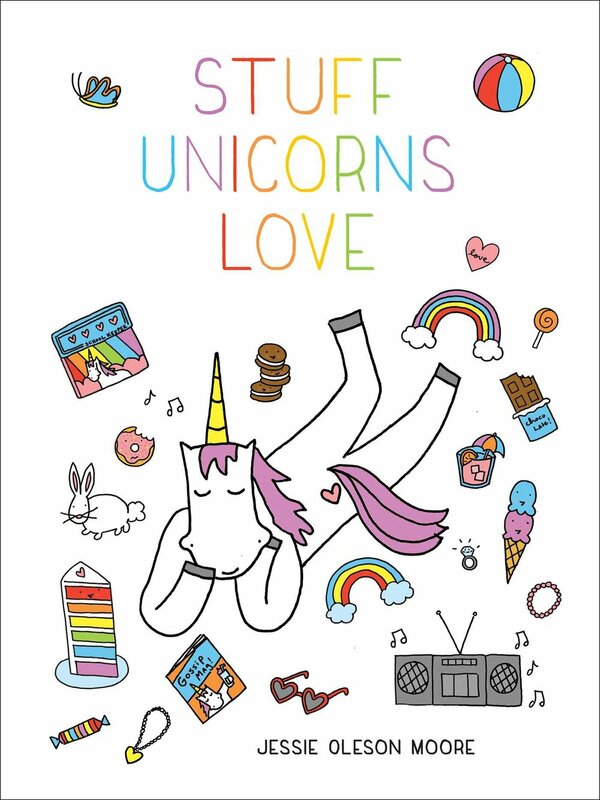 CakeSpy: No! It's a noodle pudding! Buddy: Is that a euphemism? Clearly, it's time to set the record straight about kugel. What is it? 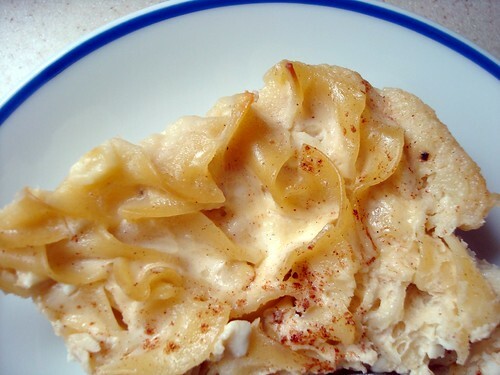 Simply put, kugel is noodle pudding. Grossed out? Get over it by giving a long, hard look at its more popular friends and neighbors like bread pudding and rice pudding. Need more information? Literally translated, "Kugel" (or, if you're speaking Yiddish, קוגעל) means "ball", but apparently this translation also sometimes means "pudding" or "casserole"--according to Wikipedia, this may be a reference to "the round, puffed-up shape of the original dishes (compare to German Gugelhupf — a type of ring-shaped cake)". These days, the dish is generally baked in a square or rectangle pan, but apparently the name stuck. But back to the dish. , which is traditionally broken with a dairy meal. immigrant Jewish women asked if the company could make a specialty pan that could be found only in Europe. The women tried to explain the pan, used to make a pudding called Kugel, by using a word that sounded like "bunt" and meant "a gathering of people," David Dalquist said. And the fluted, cast-aluminum design -- trademarked as a Bundt pan -- was born. According to Hasidic interpretations of Kabbalah mysticism...kugel has special powers. "Clearly the spiritual high point of the meal is the offering of the kugel," Professor Nadler said. At that moment the rabbi has the power to bestow health and food, and even to help couples conceive. 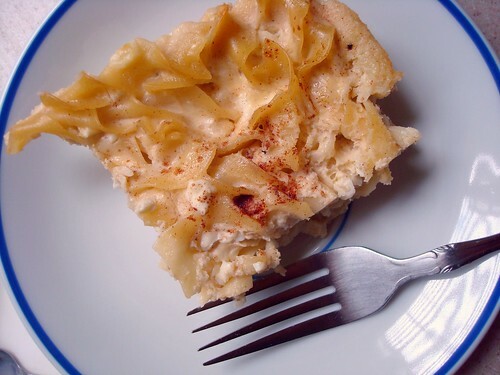 In the late 19th century, Jerusalemites combined caramelized sugar and black pepper in a noodle kugel known as Jerusalem kugel, which is a commonly served at Shabbat kiddushes. 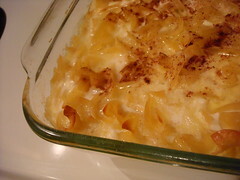 Finally, if you're "Crazy for Kugel", you can find more tips and trivia on the Manishewitz website. 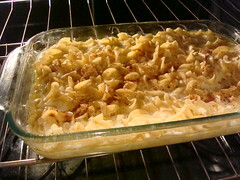 Want to make Kugel? OK. So there are some delicious sounding recipes out there, like Peach Noodle Kugel and Fruit Noodle Kugel (try and say that five times fast! )...but if you want to start basic, here's a traditional kugel recipe so that you can learn the rules before you break them. 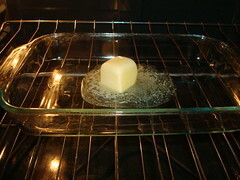 In a 9 x 13 pan melt butter in a 350 degree oven. In a large bowl, mix eggs, sugar, sour cream, cottage cheese, noodles & vanilla (I used some from a local company called Singing Dog, who recently sent me a sample) and cinnamon, if desired. 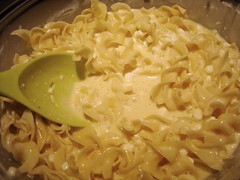 Remove pan of butter from oven & pour in egg & noodle mixture. Bake at 350 degrees for 45 minutes to 1 hour. Serve warm.